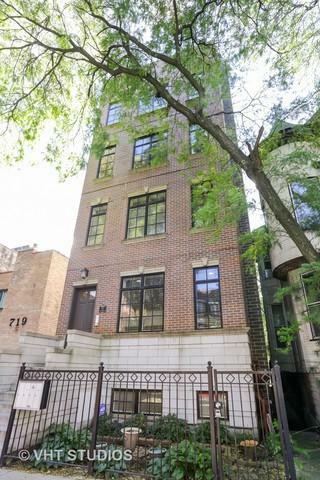 Highly upgraded 4-unit building in the heart of East Lakeview on one the best tree-lined streets to walk-to-everything. This all brick building was built in 2011 by quality developer Jasper Construction. Building has excellent income and amazing investment. Unit 1 is a duplex down 4 bedroom, 3 baths. Unit 2 and unit 3 are 2-bedroom 2 bath simplexes. Unit 4 is a top floor 2-bedroom, 2 bathrooms with interior stairs to private roof deck. All units feature custom cabinets, granite kitchen, super high-end appliances with Wolf and Sub-Zero. Stone bathrooms. Master bathrooms feature throughout double bowl vanity, separate tub and huge walk-in shower and heated floors. Organized closets throughout. Hardwood floors throughout. Finished Roof top with pergola and an amazing south view of the city skyline. Easy to maintain and easy to keep rented with all high-end and upgraded finishes. 2 car attached garage plus 2 car exterior parking. Crazy good investment!